There were some gorgeous dresses at the 2011 Academy Awards show. In fact, we had a hard time finding a look we didn’t like (Helena Bonham Carter being an exception, but that’s just her personal style so it’s cool). But among the beautiful celebrities walking the red carpet, we did notice a definite trend: lots of beading, sparkles and shine. Heck, if you hung a few of the dresses on a string at a roller rink they’d be right at home. Click here to see 2011 Academy Awards fashion. 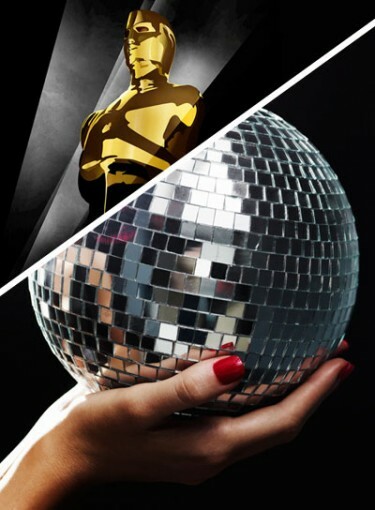 So we decided to have a little fun with this and put together the 2011 Oscar fashion that most resembled a disco ball (hey, ’70s styles are coming back for spring, maybe these ladies are just ahead of the trend). Of course, some of the actresses, like best actress winner Natalie Portman and the always-stunning Mila Kunis, did not jump on board with this trend — instead opting for more traditional, less blingy dresses (boo). 1. Don’t try too many trends at once. If you’re going for head-to-toe sequins, then keep the design of the dress simple (like Michelle Williams and Amy Adams did). 2. If your dress is already lighting up a room (literally), then keep your jewelry simple so it doesn’t compete. 3. If you’re going to rock a head-turning look like this then stand up straight, walk with confidence and own it. Click here to see 2011 Oscars fashion.